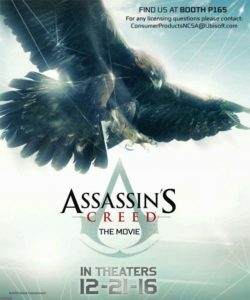 The hit videogame “Assassin’s Creed” is to be turned into a blockbuster movie, part of which will be filmed here in the province this December. The rest of the film is being produced in Malta and London. To be shot in the province? The production company has started to prepare filming contracts and search for extras in the province. Filming will take place in Pechina, where other international titles such as Exodus or Game of Thrones have recently been filmed. Michael Fassbender (X-Men: first generation, 12 years a slave), Marion Cotillard (Midnight in Paris) and Jeremy Irons (The Mission) are starring. Spanish actors Carlos Bardem and Javier Gutierrez are also appearing. It is being produced by Australian director Justin Kurzel whose latest film was the critical success Macbeth. At least ten international films have been partially produced in the province this year, along with several national and international TV series. Security considerations in cheaper parts of the world have made production companies return to Almeria. 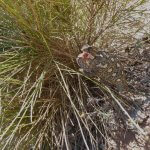 But there has been criticism that filming is concentrated around Tabernas and Carboneras, with the rest of the province being left out of the boom. Luis Hernández is involved in a new project to setup an online database of local people who want to be extras in films. He said: “We will be working with councils to identify locals who are serious about being in films, and keeping a live database for film production companies to quickly select potential talent for their films”. He added: “It is a pity that most of the filming is taking place in the east of the province, but we hope to work with councils in the west to attract production companies by identifying filming locations and reducing their planning costs”. Francisco Martin from Vera council agreed more needed to be done to attract moviemakers to his side of the province. He told me that “we are working with provincial authorities to promote the Levante to producers”. There are signs that location scouts are venturing away from the capital city. Christian Bale has recently been spotted in Pulpi where he is filming in “The Promise” along with Oscar Issac and Charlotte Le Bon. And NBC is filming the US series “Emerald City”, a remake of the Wizard of Oz here in December across Cabo de Gata. This entry was posted in Blog and tagged Assassin's Creed, blockbuster, exodus, film, game of thrones, production by David. Bookmark the permalink.